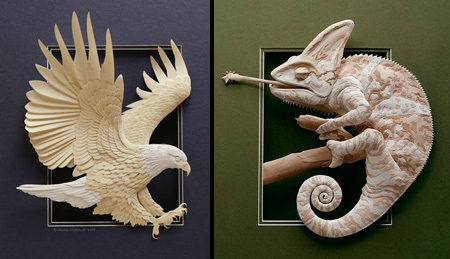 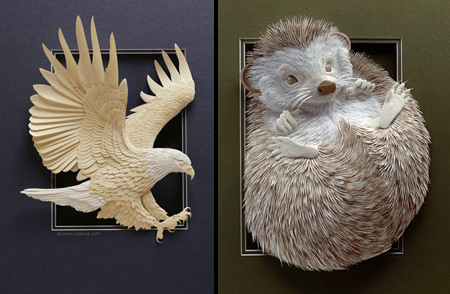 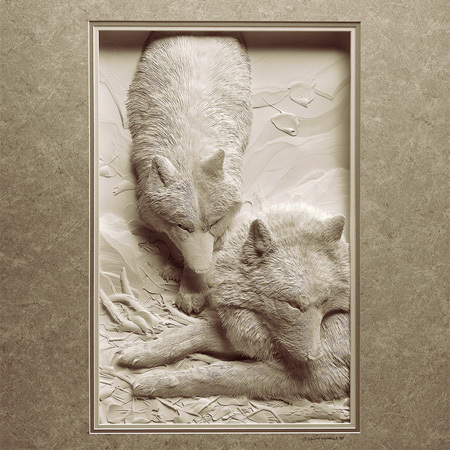 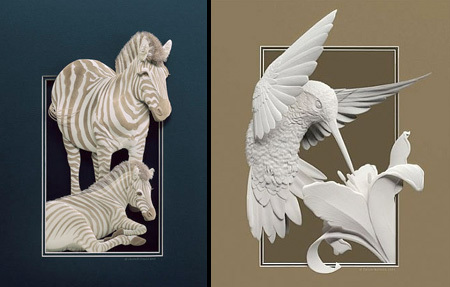 Wonderful 3D sculptures made by Canadian paper artist Calvin Nicholls. 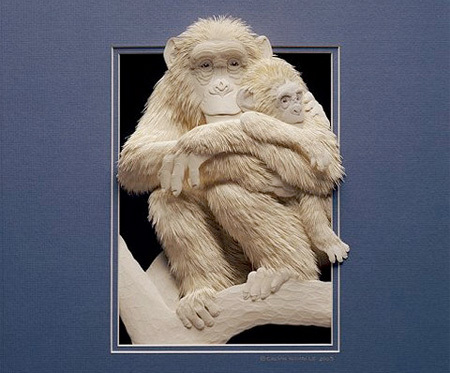 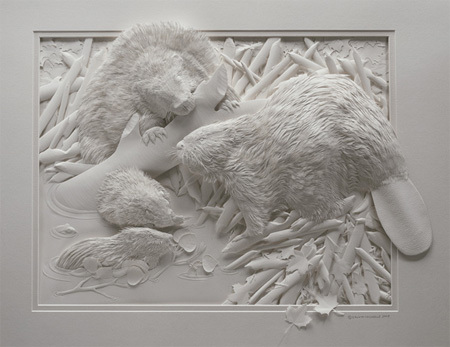 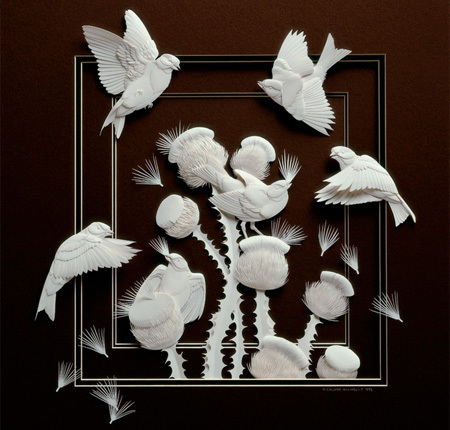 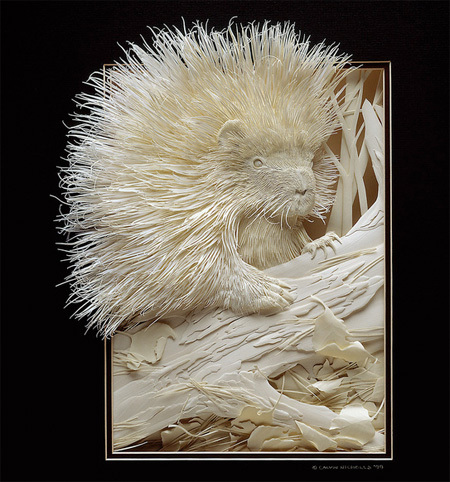 Calvin has been creating paper sculptures since the mid 1980’s from his studio north of Toronto. 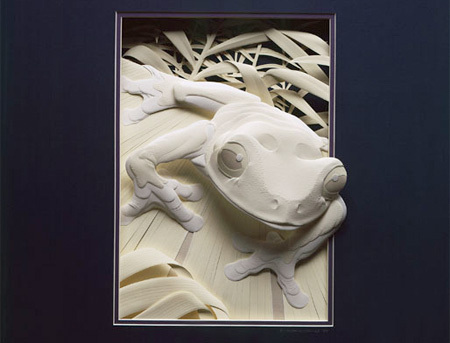 When each sculpture is complete, the artist uses lighting to emphasize important elements and texture.